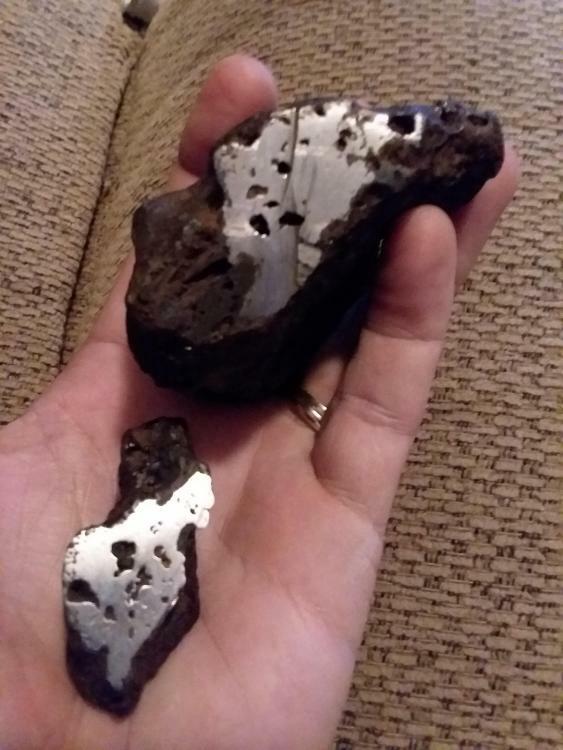 I'm a newbe at this but read the year long post about the meteorite found in Wisconsin near Milwaukee. I think l might have found one also, I'll try to post picks of my rock in this post, hopefully there might be some help to put me in the right direction. 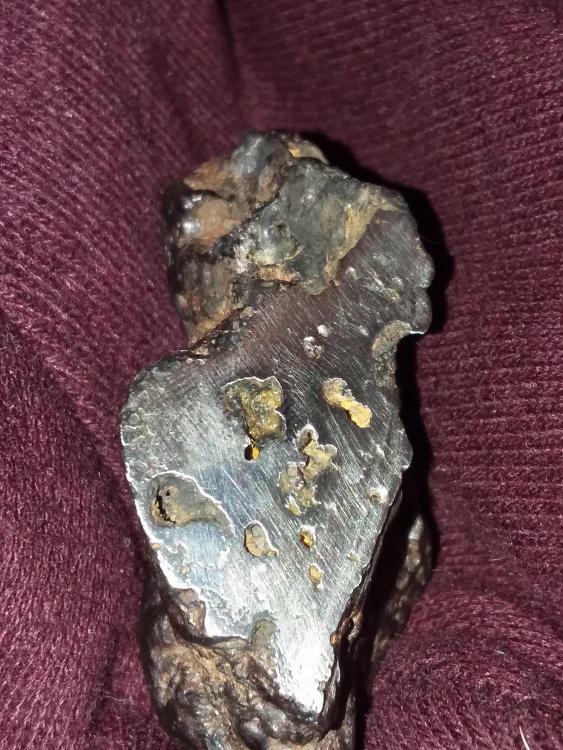 I found it in upper North Wisconsin, very chrome in the crudely polished area, but I'm intrigued for sure. The blue hue is because I was driving home from the guy who polished it and is a reflection of the sky through the windshield. It looks vesicular, which an iron would not be. Can you cut into it and expose more of the interior?
. Go down to the drugstore, and buy a nickel test kit. The Nickel Alert kit is pricey, retailing for $34 to $40, so ask for a "Spot" test kit, it is only about 20 bucks. Use the kit on the polished area after making sure there is no left over residue from polishing. 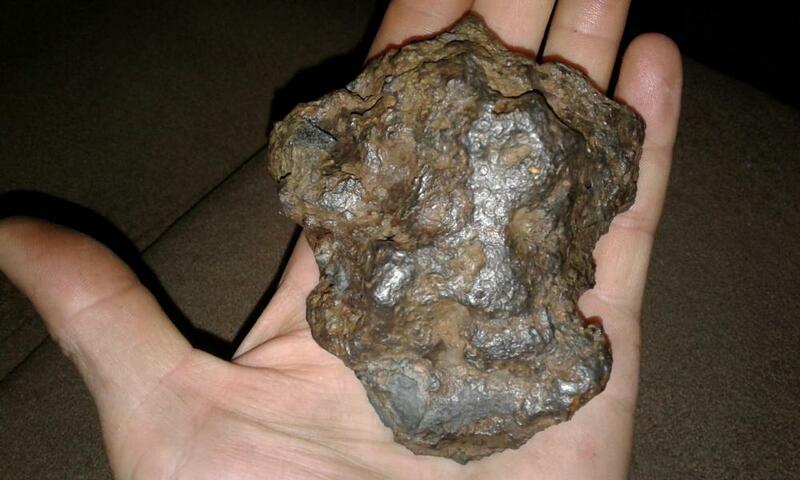 And yes, Mike is right, your piece is on the "bubbly" side. I was able to cut a 2" piece off with my tile saw, (probably not the best cut) but this is what the inside looks like. Will pick up the nickel test tomorrow, fingers crossed. I'm leaning towards the slag side of things, being from Wisconsin and the amount of iron ore we have produced. 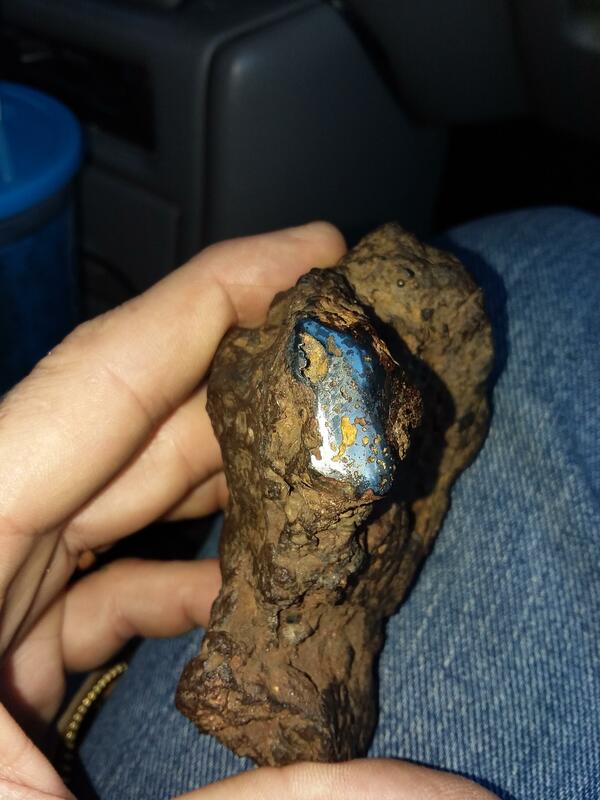 Interesting find but looks like some form of slag IMO. I can’t say that I have ever seen a piece of pallisite with weathered out olivine from a whole specimen, uncut. That being said, stranger things have been know to happen. 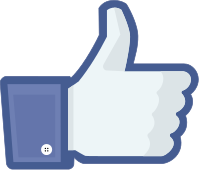 Good luck and keep us posted.